That title scheme is starting to get stale, but I figure that now that I've come this far, there would be little sense in breaking the chain! 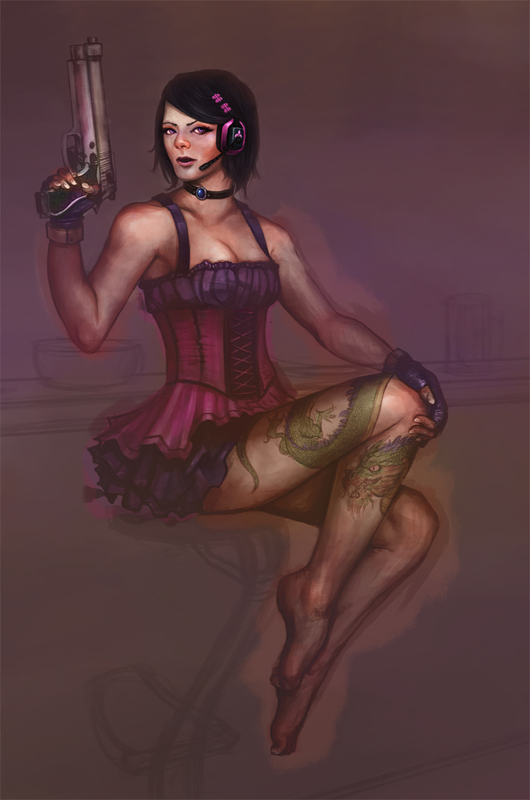 Just a little progress on the Saints Row character portrait. I spent most of the time (which was only an hour or two) nonchalantly painting an arm and the chest area, quickly losing interest and motivation. In the last fifteen to twenty minutes, I did what I should have done much earlier - lay down the general tone of the scene. In a way, delaying it was to my benefit, as it allowed me to reanalyze the points of focus and subdue anything that was largely unimportant. We'll see if I take this to completion, though, I'm starting to get bored of it. Having beaten Saints Row 3 on Saturday, I think my primary source of motivation is gone.